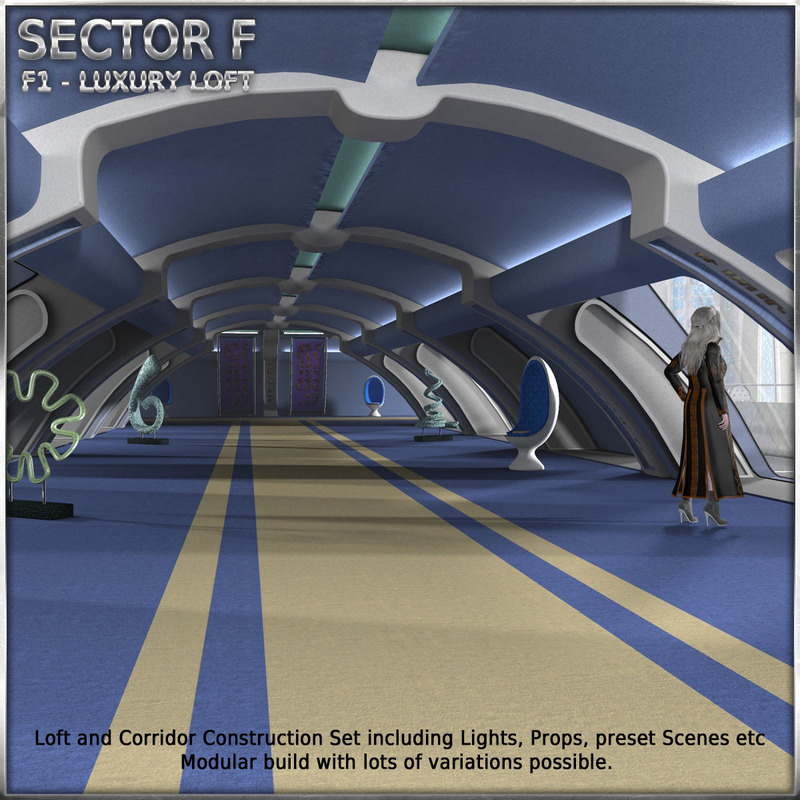 Welcome to our Ship Elements Sector F.
This part of the series is giving you an area of SciFi Luxury. We are talking about the executive high level floors, those, which the ordinary folks wont be able to walk. In this set you receive a walkway and living area including a bigger room supposed to serve as a sleeping area (but open to your ideas). We have included preset structures to help you getting started. All structure items have boned walls and cores to let you disable the various items for long focal lense shots. As usual, preset scenes, lights, props etc included. We hope you enjoy working with this. Check out our other stuff and our great freebie area! Remark: This is a Poser Product designed for S/M Poser. It will load OK in D/S, but some items behave differently. Check readme for further details.